Paris for a week-end or Paris for a week ? It doesn’t matter, because Paris is always a good idea! Situated in a 16th century mansion partially constructed on the remains of Gallo-Roman baths dating from the third century (known as the Thermes de Cluny), the museum exhibits mainly medieval artifacts including sculptures and noteable tapestries from the 5th century, considered some of the greatest works of medieval art. Occasional concerts are hosted on the grounds. Boulevard Saint-Michel - 2 min walk. Historical university building from the mid-12th century in the heart of Paris. A leading university world wide for its rich humanities courses. After student and citizen protests during the 1960s, the Sorbonne became one of 13 schools comprising the University of Paris. A charming square with a typical open-air market three times a week where you can sample some excellent French produce; from fruits and vegetables to fine cheese and fresh seafood. The square is a great place to do a little food shopping for a picnic or light dinner. This high-profile resting place for some of the most famous French citizens is a masterpiece of French architect Soufflot. He is interred here with some of France's highest achievers such as Victor-Hugo, Marie Curie, Louis Braille and Voltaire. Ile de la Cité - 5 min walk. 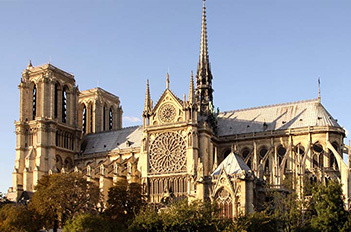 The world's most famous Gothic Cathedral, and the first Christian Church built on the Ile-de-Cité in 375 A.D. Amongst beautiful architecture and sculptures, a small fee grants access to the treasury to see some of the Cathedral's most sacred objects. Just a short walk from the hotel finds the beautiful Jardin des Plantes, with many examples of different plant species; the Gallery of Evolution, with skeletons and taxidermy of various animals, and the Ménagerie housing animals from all over the world. One of the most famous public parks on the left bank. A good place to read a book or walk around. Don't miss the Barocco style Medici fountain. You can sail a toy boat on the pond or enjoy a children's puppet show and the playgrounds. Saint Germain des Prés is close by. 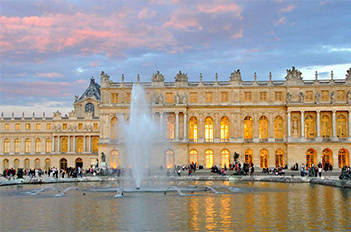 One of the most famous museums of the world,previously a royal palace, is a not-to-miss stop in Paris. Exhibiting manygreat works including Da Vinci's Mona Lisa, important works depicting the French Revolution, sculptures, paintings, Egyptian and Greek antiquities, the list can (and does) go on and on! The immense glass pyramid in the centre of its courtyard, created by the Chinese-American architect I.M. Pei, is proof of the vitality and creativity still present there today. This charming, small island is located behind the Ile-de-Cité and Notre Dame cathedral. Although it is a mainly residential island it is home to some excellent ice-cream parlors and specialty foods stores as well as quaint gift shops and boutiques. A very well known area of Paris on the left bank. Frequented over the years by many famous writers and existentialists with the cafés Les Deux Magots and Café de Flore. The church of St Germain des Prés is on the square. the « Arènes de Lutèce ». This structure was used for theatrical representations and games, as well as gladiator fights. Right next to the amphitheater on the Place Monge, you can visit a colorful food market on Wednesdays, Fridays and Sundays from 7.30 to 14.30. The magic kingdom is a popular destination for kids and grown-ups alike. A short 45 minute train ride from Paris center, the park is open all year round and has a comprehensive website to help you plan your visit. Ask the reception team to help you reserve tickets at the hotel. 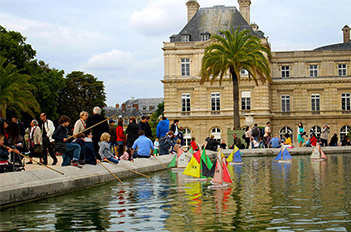 Just a short walk from the hotel, you can explore the beautiful Jardin des Plantes, with many examples of different plant species; the Gallery of Evolution, with skeletons and taxidermy of various animals, and the Ménagerie (zoo) housing animals from all over the world. One of the most famous public parks on the left bank. A good place to read a book or stroll. Don't miss the Baroque style Medici fountain. You can sail a toy boat on the pond or enjoy a children's puppet show and the playgrounds. Saint Germain des Prés is close by. An excellent museum of science and technology in the Eastern part of Paris with a special wing dedicated to discovery for kids (La Cité des Enfants) surrounded by a spacious, lush park, playgrounds, carrousels and interesting sculptures. The Zenith music hall is here, hosting International rock bands, and you can take a relaxing walk down the Quai de la Seine to see some of the canals of Paris. There are some great boat tours along the Seine river. You can pre-purchase tickets for either the Bateaux Mouches or Vedettes de Pont Neuf directly at the hotel reception, and for less than you'd pay directly at the entry. Ask us for more information and for the best option for you. Entirely renovated, this enormous modern art museum reopened its doors in the year 2000. The comprehensive collection offers a look at the many artistic styles of which the 20th century consists. Famous not only for its use as the setting for The Phantom of the Opera but also its long history and beautiful architecture; the Opera Garnier is a must see for it's stunning Grand Staircase and Grand Foyer as well as detailed, interior fresco paintings by Chagall. A beautiful area of Paris to explore the surrounding streets. Impressive building made up of 4 towers hosting millions of books and old manuscripts. The new towers were built in 1988. You can take a short walk across the bridge to the Bercy Gardens. 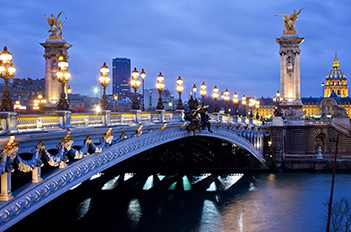 The Seine is crossed with over 30 unique and ornately detailed bridges from all eras or Paris' history. Join locals for a summer picnic on the Pont des Arts, see the extravagantly gilded Pont Alexandre III, or admire the romantic Seine river from the Pont de l'Archevêché. Near the Jardin des Plantes, along the Seine River, you will find barges converted into restaurants or theatres, good places to pass a pleasant afternoon or evening. There is also a notable sculpture garden to explore. A 1/2 day trip (although you can stay longer!) the iconic castle and former home of King Louis XIV and Marie Antoinette is rich in history and luxurious living. The beautiful gardens and fountains are especially impressive in Spring and Summer. 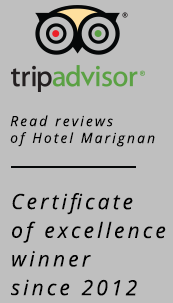 Easily accessible by metro/RER from the city center, you can find more information on the official website. Visit Claude Monet's magnificent house and gardens, the inspiration of some of his most famous paintings. A good system comprising a train ride and connecting shuttle bus links the historic site to the city at an affordable price.  The Fondation Monet offers useful information on their website. An interesting day trip from Paris, Chartres is known mostly for its magnificient cathedral and charming "old town" (Le vieux Chartres). France's rail network links Chartes and Paris with several trains daily and this beautifully historic town is a great stop for history buffs. Superb church (circa 1135) where the Kings of France are buried. Only 45 minutes from Paris by high-speed train, this capital of the Champagne region of France hosts a great cathedral featuring stained-glass windows designed by Chagall. You can make a visit to the many champagne caves and vineyards. A palatial castle, 45 minutes by train from Gare du Lyon, unique in it's construction with 3 wings built during different historical periods and recently renovated. 45 minutes by train from Paris, a "miniature" Versailles built by Fouquet, King Louis XIV's minister of Finance, in the mid 1600's.